Where is the best place to live as a British expat? Anywhere within a three hour flight to the UK it would seem. According to research by Alliance & Leicester International an expat in France can expect approximately ten friends or family to visit from Britain every year. Expats in Spain and Holland will have around eight visits a year. However, a British expat living outside Europe will see friends and family far fewer times, with expats in South Africa and New Zealand seeing friends or family two to three times a year at most. 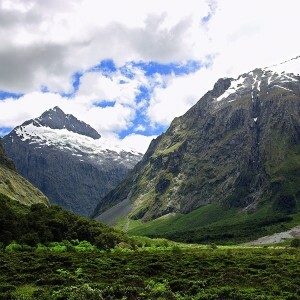 In another study by Alliance & Leicester International, New Zealand was rated as the best place to be an expat, based on both quality of life and cost of living. An interesting study might also include a question about distance from friends and family—in the case of New Zealand, perhaps it is that very distance that adds to the appeal of the pre-existing qualities of the country! While many people become expats simply because of their work requirements, many expats are motivated by a love of change, a passion for the chosen country or by the idea of bringing their skills to countries with a skill shortage. Still another group of expats are those who are motivated by the fresh start and the distance from their ‘old life’. For those Britons, a move to New Zealand must be the best plan. Despite the A&L’s survey results, there’s a lot more to be considered than proximity to “home” and friends and family. The strength (or weakness) of sterling, for example, can have a big impact on the quality of life for an expat. I read recently that British expats in France were facing up to a 30% loss in disposable income due to currency fluctuations. Additionally, there’s all the fiasco of frozen pensions in certain countries and not in others. But that’s another story.